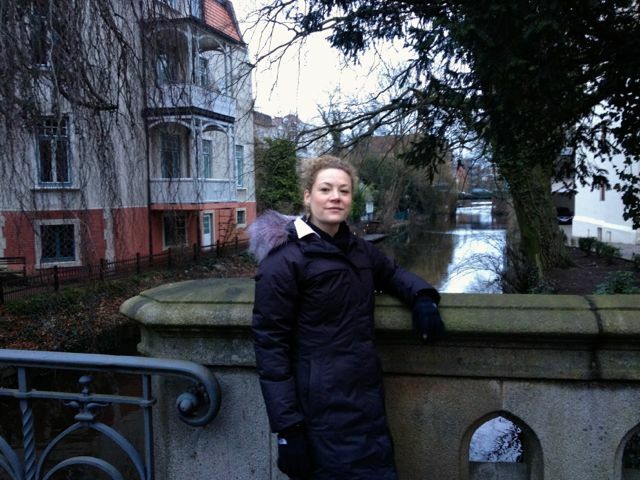 Surprise, I’m not in Amsterdam or Bruges – it’s Hamburg! 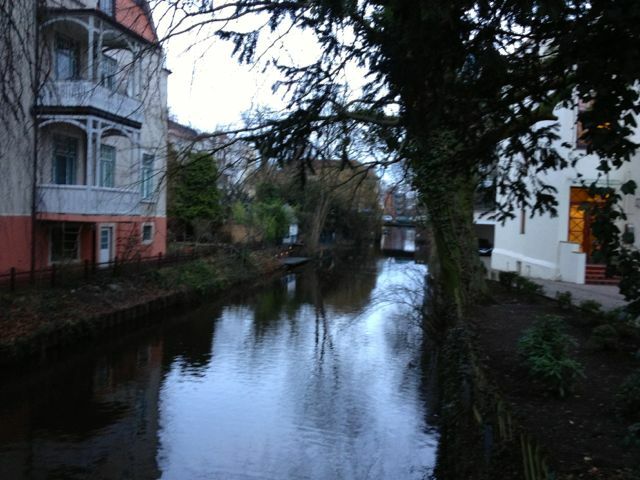 I never knew until I visited, but the city has quite a series of canals running through it. Makes for some very picturesque side streets! And if it looks like a dark, grey day in Hamburg that’s because it is. Sadly, my only “pop” of color (ha) was the white collar sticking out of my jacket. But in all fairness, I have very limited choices – my stuff is still on a boat from the U.S.! And since it’s freezing, I’m all bundled-up in my new North Face coat and gloves!